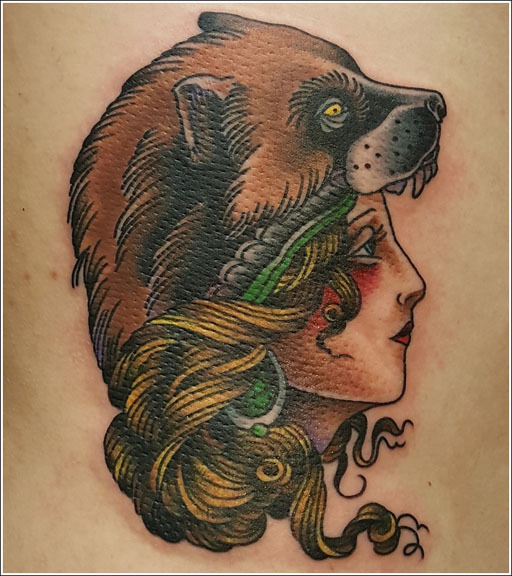 A girlhead tattoo with a wolverine hat thing Justin enjoyed drawing in his traditional style for a University of Michigan Alumnist. In case you’re wondering, Justin will never get tired of doing girlheads. Never… ever.